Overall spending in the pet supply industry is estimated to be nearly $77 billion in 2017, a notable and consistent increase from previous years. The pet food supply industry proves resilient, even during times of recession, and the 2015-2016 APPA National Pet Owners Survey reports that 65% of U.S. households, or 79.7 million homes, own a pet. John Gibbons explains on his Pet Business Professor blog that the pet food segment was up 17.4 percent to $31.1 billion! 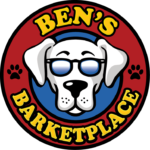 This growth spans small and large retail concepts within the pet supply marketplace, but Ben’s Barketplace differs from the big box stores. When customers visit a Ben’s Barketplace, they receive individual attention with a Pet Nutrition Expert whose passion it is to share their expertise. Through personal interaction and evaluation, Ben’s Barketplace provides consumers with high quality, natural dietary supplies and recommends the right food, treats, and supplements to each customer based on their pet’s age, breed, weight and other determining factors. A Customer-Centric Business Model – Dogs and cats are our passion! Recession Proof Opportunities – Even in times of economic downturn, pets play an important role in people’s lives and require the best food and products available. Training and Support – Ben’s franchisees become well educated on the pet food supply industry and the nutritional needs of pets before the doors of a new store open and are updated on industry and company-wide changes throughout franchise ownership. Ben’s Barketplace franchise support is never more than a phone call away. Diet is a difficult subject when it comes to pet care. There is a lot of advice out there, and there are many brands and types of food to choose from. The ingredients that some advocate are spurned by others. There are pet foods formulated for breed, size, age, and other criteria, but it is difficult to know which is right for each individual animal. Their needs are all a little different. How do people get the advice they need? How do pet food store owners know what to suggest for their customers? Ben’s Barketplace has the answer. We have developed a unique pet nutrition questionnaire specifically designed to identify each pet’s dietary and nutritional needs. The online or in-person survey helps each customer pinpoint the right products based on key information related to their pet. A one-time nutritional consultation can make a world of difference for a pet’s diet. Besides, who knows a pet better than its owner? The pet nutrition questionnaire from Ben’s Barketplace combines the familiarity that pet owners have with their dogs and cats with the expertise of well-trained pet store franchise owners to identify the nutritional needs of each animal. Armed with this customized knowledge, pet owners can rest assured that they are giving their pet the right food to meet their nutritional needs. From the type of species of each pet to his or her weight, age, lifestyle, and more, our pet nutritional consultation will help each customer find the right healthy pet food for their dog or cat. This system is unique to Ben’s Barketplace and gives customers the peace of mind that comes with giving their pets the correct nutritional care. It also equips pet store owners with the tools they need to give the expert advice their customers depend on. While other stores may have brand and food preferences based on input from suppliers, Ben’s Barketplace franchise owners get to tailor their recommendations to each pet’s individual needs. Interested in learning more? As a Ben’s Barketplace franchise owner, you get to be a part of a company that is changing the face of pet food and nutrition. Ben’s Barketplace franchise owners work with their customers and their customers’ veterinarians to customize their pet’s diet for optimum nutrition. The process is guided by cutting-edge pet nutritional consultation that takes the guessing out of purchasing pet food. Franchise owners receive regular training to keep them up to date on all the latest nutritional science and trends so their customers get the products their pets need. Contact us to learn more about franchising opportunities. Skilled and knowledgeable pet food store owners play a key role in the health of family pets. This could be the opportunity you have been looking for.